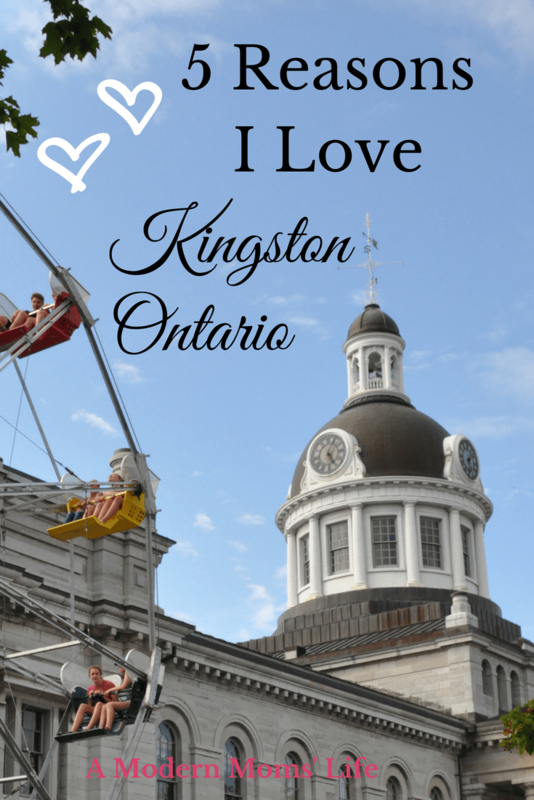 I have lived in Kingston, Ontario for most of my life. And I’m not just saying that because I’m old now and more than half of my life has happened after highschool, though that is a factor. I was born here, at Kingston General Hospital. At the time my parents lived in Amherstview, which is a community located just to the west of Kingston. You can learn about the history of Amherstview on the Loyalist Township website. We moved away when I was almost 10, but I moved back to Kingston to attend Queen’s University. (I took Biology if you’re curious.) Whether I was living in a residence at Queen’s, with some friends during my school years, on my own (which I loved!) or with my now husband (and our 2 girls), I have loved being in Kingston. What makes Kingston so special? I know I gripe sometimes about “people” but anyone who works in retail does. There are so many amazing people and communities in Kingston that I always feel welcome everywhere I go. From the dance school we live at (not quite, but sometimes it feels like it!) to my workplace, to the girls’ school, I rarely run across unkind people. I even used to have a guy I would cross paths with every morning while walking to work from my parking lot and we got to the point of exchanging heartfelt hellos! This is the kind of place I love living in. Located halfway between Toronto and Montreal, Kingston is a perfect stop along the highway. This also means when it’s time for us to take a flight for our family trip we can go either way (or to Ottawa) to get a flight. Did you know they don’t have March Break in Quebec – so if you’re flying over that “time off” the flights are often cheaper out of Montreal! And Kingston is really not that big. I hate driving in the “big cities” but I quickly adapted to driving here in Kingston. 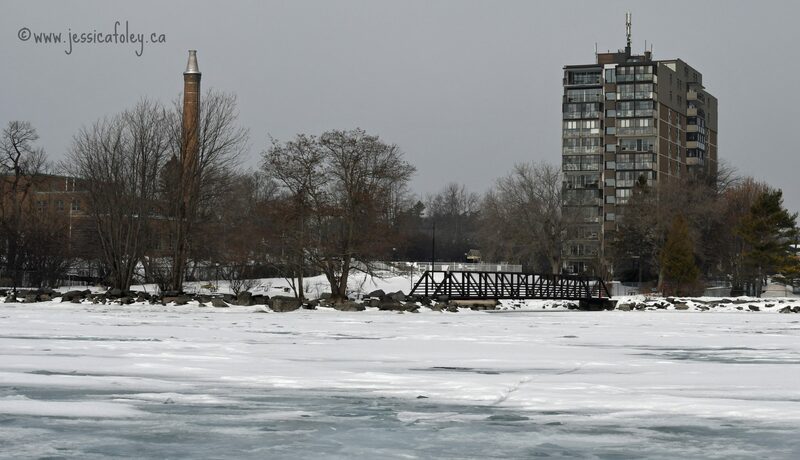 Kingston is nestled at the junction of Lake Ontario and The Rideau Canal. We are also right on the edge of the Thousand Islands. What does that mean? Well, it means there’s a ton of waterfront, and amazing attractions located on, and in, the waterways. It also means you can often find a cool breeze on a hot day, or can dip your toes (or the rest of you) into the lake without venturing too far. The city is currently revitalizing sections of waterfront for better access and some beautification! Visit the St Lawrence Parks Commission for some great things to explore in Kingston and along the St Lawrence Seaway. I work in downtown Kingston. Because of that I am slightly biased towards enjoying our downtown core. My girls also love spending time on the weekends being downtown: visiting the market, checking out some shops, and getting some waterfront time in. While winter does dampen our enthusiasm for getting downtown, the Downtown Kingston BIA (Business Improvement Area) works hard to keep the downtown vibrant in all seasons. They have a great website they keep up to date with shops, restaurants and events. My boss belongs to the BIA so we get newsletters and posters at work for all the fun stuff coming up. I love being that connected to the pulse of the city! Fun Fact: Did you know Kingston has the second most restaurants per capita in Ontario? You can read how the mayor of Barrie came up with his ranking on his website. His data came from the 2016 census – it’s really quite interesting! I try very hard to share the fun upcoming events, or great attractions we’ve been to, on my social media. 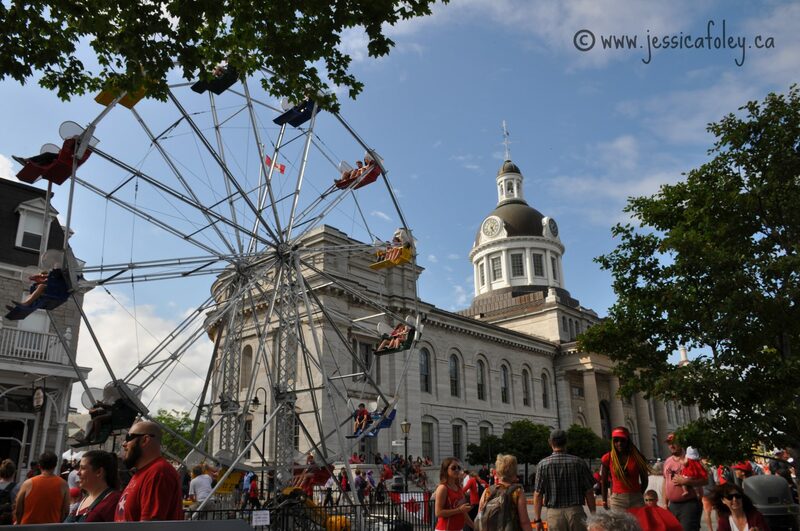 I’ve even got a few posts on this here blog with annual things that go on in Kingston. Looks like I need to fill out a few more seasons. 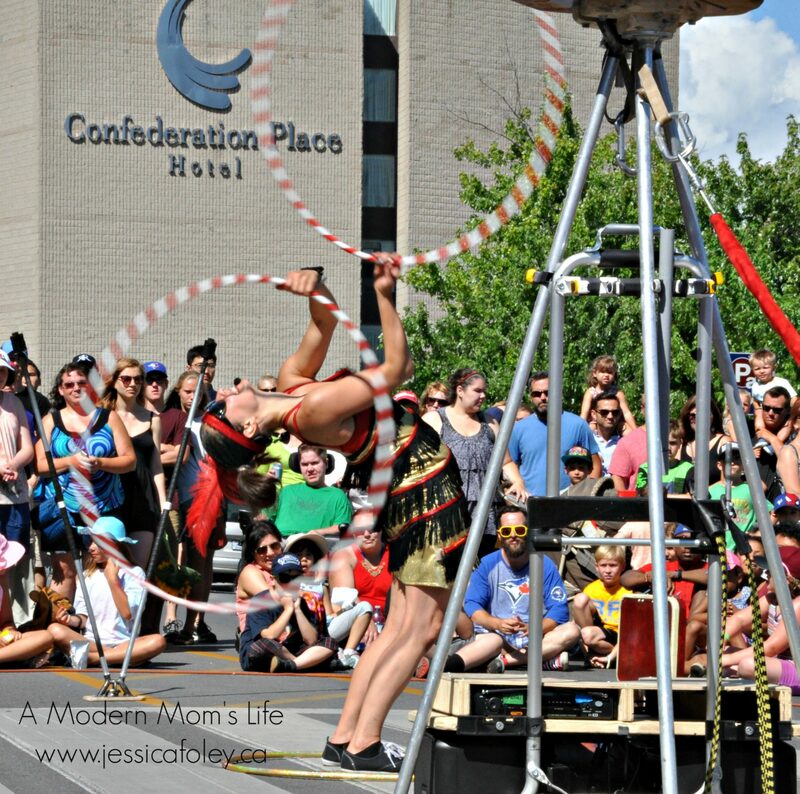 In the meantime jump over to my Visit Kingston page here for posts on other fun things we’ve done around town! Kingston is a city rich in history and culture. Did you know Kingston was Canada’s first capital? We have lots of historic sites and an amazing night life. 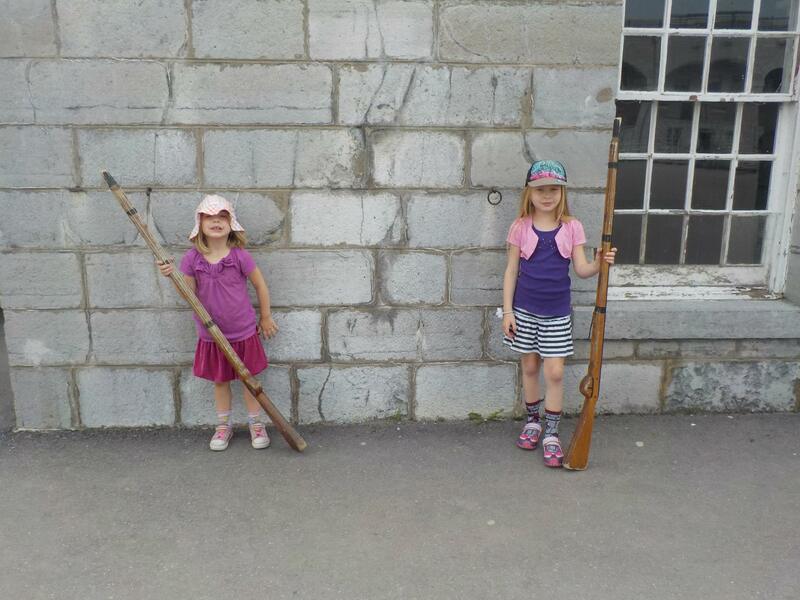 Check out Visit Kingston, a great website for Kingston tourism. There you can plan a stay and find articles on what is currently on the go in Kingston. In case you didn’t quite figure it out yet, I love living in Kingston, Ontario. It’s a vibrant city steeped in history, and surrounded by water. If you visit, bring your camera and your walking shoes! Have you visited Kingston? (Or do you live here?) Share your favourite things to do in The Limestone City with me. I know there are a lot of things I haven’t yet experienced, so let me know what I’m missing! Also, if you’re interested in learning more about anything I’ve mentioned above, let me know. I am happy to share my knowledge and experiences with you. You can send me an email at any time! None of the businesses, websites, or attractions mentioned above have sponsored this post. All opinions are my own and links are genuine and authentic. However, if you are interested in having me write about your attraction, event, business or any other ideas please visit my Work With Me page for ideas of ways I can help you promote your business! I look forward to hearing from you! Thanks Hayley – and don’t feel badly. My geography isn’t great outside of Canada. I love capturing photos in all the seasons. Guelph is west of Toronto and we are east – but I am glad to hear you had a fun visit. I would love to explore further afield (I’ve never been to Guelph!) across Canada myself. It sounds like a really nice place to live Jess, with lots to see and do! It really is Jayne. I can’t wait to get out and about again this summer! It really is nice to enjoy where you’re at. I would love to give you some travel tips for Ontario if you ever come this way Sarah! I haven’t been to Kingston but all my trips to Canada have been wonderful. You’re lucky to live in such a great place! Thanks Carol – I sure think so!